Sophia and I cannot thank you enough as we close out an absolutely outstanding year. As I look back on 2017, I’m amazed at how busy and successful the Florida National Guard has been. We started preparing for hurricane season last winter and it definitely paid off during an extremely active year for natural disasters. Our Guardsmen played essential roles in the recovery efforts following Harvey in Texas, Maria in Puerto Rico, and especially here at home following Irma. Your professionalism, caring, and competency are the reasons our citizens have such faith in our institution. There is good reason the U.S. Army has entrusted us with their Emergency Management course and your efforts this year have shown our nation how to prepare, respond, and unify for natural disasters. Likewise, our Guardsmen have been involved with making our communities safer, better places to live through the counterdrug program. Our partnership with federal, state, and local law enforcement agencies resulted in 585 arrests and $1.8 billion in seizures of illicit drugs, weapons and currency. Similarly, we have worked with Florida’s youth, recognized worthy veterans, and honored those who have passed on. Nowhere is the selfless service of our Guardsmen more visible than graveside, where our Soldiers have rendered honors almost 5,000 times this year on behalf of a grateful nation. 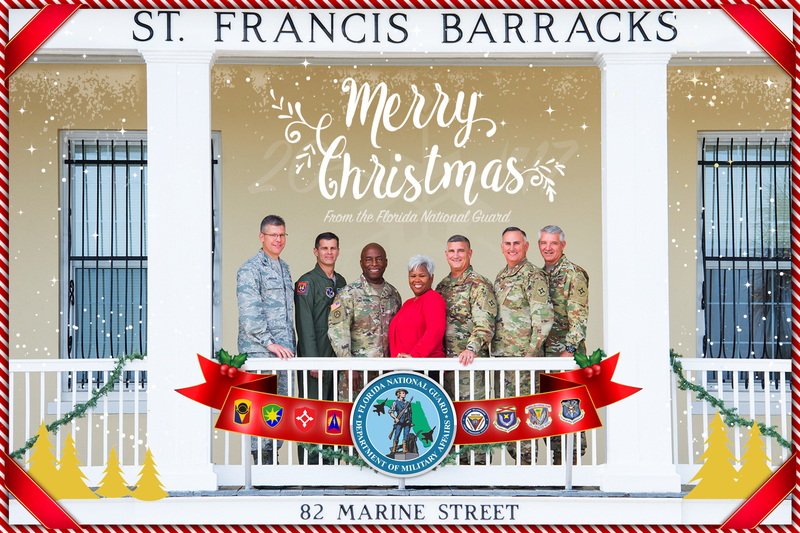 Finally, we celebrate the safe return of more than 1,500 of our Guardsmen who mobilized in support of federal contingency missions this year and will be able to spend the holidays with their loved ones. However, about 60 of our Citizen Warriors remain deployed around the globe. Please keep our deployed comrades and their families in your thoughts and prayers. I couldn’t be prouder of you and what you’ve accomplished this year. You are truly the heart and soul of this great state and I’m humbled and privileged to work for you. Please enjoy the holidays, and be safe – we need you back at work for 2018! ALWAYS READY, ALWAYS THERE!